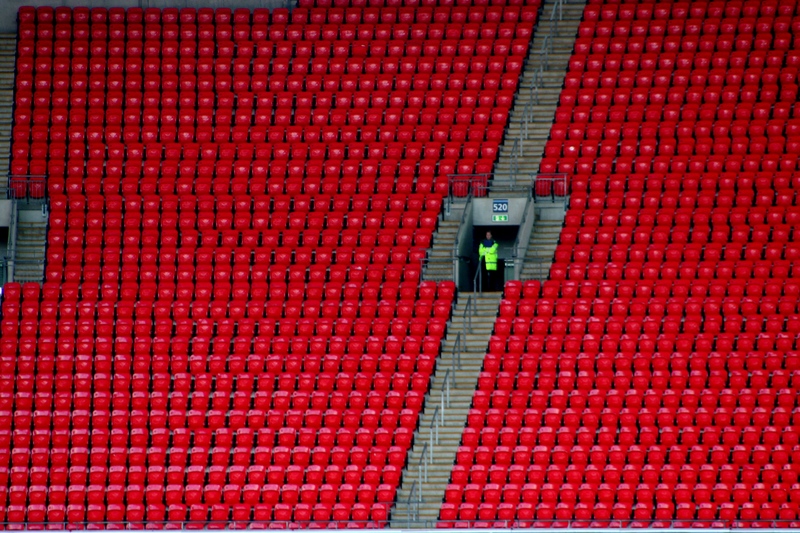 Can you feel it, the vortex of international football sucking you into its pit of despair? Well not me, not this time! I’ve decided that during this two-week period, when Arsenal have sixteen players away with their respective nations, I’m not going to attempt to cobble something of little merit and/or importance together each morning because I feel it would only serve as a series of turgid reads and frankly I think you deserve better. Plus I really don’t want to get into the kind of transfer speculation that has started doing the rounds.. There is talk and rumour this morning focusing on our supposed interest in German trio Mario Goetze, Kevin Grosskreutz and Marco Reus. We’re only two months away from the reopening of the transfer window so we can expect to see a lot more of these stories appearing on the back pages and in the blogsphere. That is understandable and I certainly expect Arsenal to at least attempt to do some business in January as for once the winter window may be a better time to secure new recruits then the summer due to the European Championships and that kind of economical value will be right up a certain Frenchman’s street, but it’s not what I want to spend my time writing about. I know you can all get a fix of speculation and gossip from the likes of Caughtoffside, talkSPORT, Footylatest and the BBC Gossip Coloumn and a million over places. I’m certainly not once of those who professes to be ‘in the know’ when it comes to the transfer activity of our or any other club so I’ll never add anything tangible to the conjecture and I don’t want to spend a portion of time analysing players we may never sign. No, during this period I’m going to utilise my time on finally putting together a few articles I’ve wanted to write for a while and which I hope you will enjoy reading and appreciate the time spent upon them. I hope to have the first of these up on the site within the next few days and then one or two others before the Premier League reconvenes. Obviously If some important Arsenal related news rears its head I’ll certainly be reporting it, if not in the form of a full blog post then at least via my Twitter feed and in the mean time I would like to invite you to maybe go back and read some of the historical content of this blog such as this homage to Anders Limpar, Andrew Allen’s look at the players who have crossed the North London divide, Big Dave Taylor’s dreams of being a football agent, my inspirational pre Chelsea post, this post that has a picture of Arshavin’s pony, or just take pot luck by typing something into the search box in the top right hand corner. I’ve come out with some odd stuff since I started this blog so who knows what you might find.. Plenty to keep you occupied for a day or two while I put the finishing touches to something that I’m really enjoying researching and writing. If you have any suggestions for articles you would like to see covered here then please feel free to send your suggestions my way. 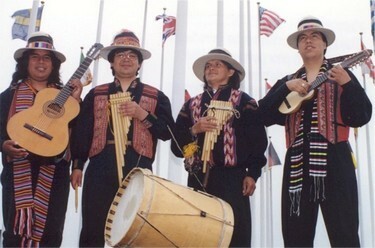 Enjoy the old stuff and try not to let the international boredom crush you. Unless Cesc arrives at Camp Nou and suddenly has a moment of revelation he’ll sign for Barcelona this morning and one of the longest running transfer saga’s in the history of football along with a chapter of Arsenal history will be completed. This move shouldn’t have come as a surprise to anyone, it’s been coming at a slow pace from a long distance for a long time now, the only thing I can equate it to is ‘Squatter & the ant’. 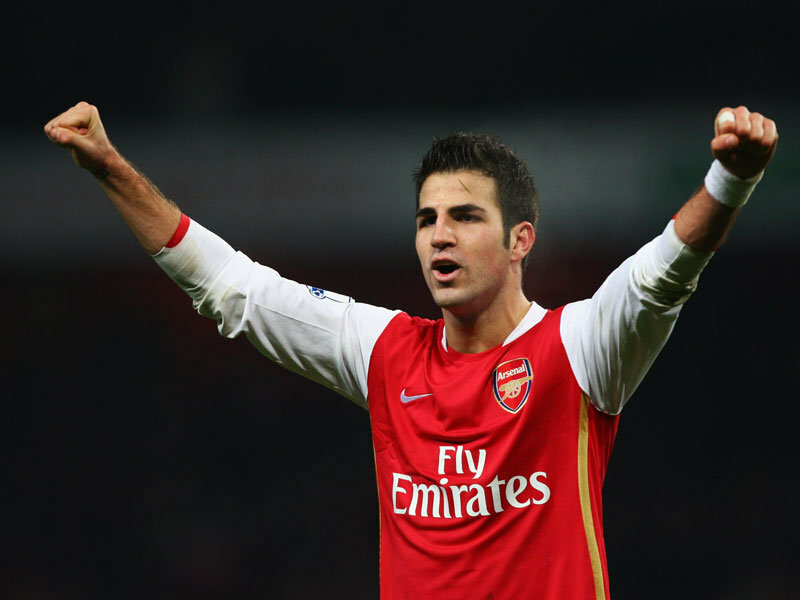 Make no mistake, Arsene Wenger did not want Cesc to leave so there is no point pointing fingers in his direction, there is enough of that going on right now. This move is and always has been fuelled by the players desire to return to the City of his birth, the club he has supported all of his life and the club he left to join us as a sixteen year old in 2003. That desire and Barcelona’s insistence in completing the deal because, well they can. The Catalan club have flirted with Cesc in public & in private, the likes of Xavi, Pique & Puyol have whispered in his ear every sweet nothing he wished to hear and they used all & every opportunity when a microphone was placed in front of them to discuss not only their own desperation to see a deal concluded but also Cesc’s. All of this Catalonian conspiring & suasion has done little but muddy the waters of the golden pond that should be Cesc’s Arsenal career. There should be no doubt that whilst it may have been Barcelona and their La Masia academy that first began to tutor a natural footballing talent it was at The Arsenal, London Colney, Highbury & Ashburton Grove that Cesc was really schooled & educated. It was Arsene Wenger & all the Arsenal coaching staff who gave him a football career and helped him become one of the finest midfielders on the planet. Xavi can talk all he likes about Cesc having Barcelona DNA but there should be no doubting that after eight years in London during which time he became Arsenal’s youngest ever first team player at the age of 16 years & 177 days (V’s Rotherham United at Highbury on Oct 28th 2003), Arsenal’s youngest ever first team goal scorer 35 days later (V’s Wolves at Highbury on Dec 2nd ’03) and gaining the captains armband in November 2008, that there is as much Arsenal in the players genetic footballing make up as there is Barcelona. While the player himself has wanted the return to the place he calls home his affection for our fans, our staff, our club, should never be put under any doubt. He always gave 100% for the cause & it was as much his dedication and drive as well as his talent which saw him carve his name into Arsenal history. There are many memories to think back on now – The Pizza throwing at Old Trafford, the substitute appearance against Villa when he changed the game single-handed although injured, the rallying of the troops and Ssshhhing of Tony Pulis at the Britannia when Rambo was injured, the goal against Spurs, the belittling of Mark Hughes and those incredible performances in Europe against Inter & Real to name but only a few. It’s incredible to think that for all he achieved and inspired he leaves the club with a solitary FA Cup winners medal. There is no doubt that the gaffer will be feeling the pain of this parting as much as any Gooner, he has always felt he has controlled the departure of players, moving them on at a time when it benefited the club. With Cesc it’s different, the affinity the Frenchman has for the young Spaniard was unparalleled and he believed that with him controlling games from the midfield he could build his greatest team around him. Sadly that never happened and now that mantle will have to be passed on and we’ll all have to start from scratch. There is never a good time for a world-class player to leave your club but this could be as good a time as any in some ways, as I said a few days ago in mind Cesc had already moved on so it is best for everyone that he goes now. We all know we’ll receive nothing like his actual worth but there is little we can do about that now, I honestly feel the club have held out and pushed for the best deal they could get and due to the players desire to see the move happen we were always fighting a losing battle and despite the length of contract we had Cesc tied to gradually our hand was always becoming weaker. The thing that will gripe me the most about it all will be the pleasure & posturing we will now see from Barca, I expect Cesc to retain his dignity but, perhaps Guardiola aside, I’m sure the knife will be stuck in by Xavi & Co.
Good luck Cesc, it was good while it lasted. Maybe you’ll be back one day? Was Wenger’s presser so bad? I decided to leave writing today’s post until after Arsene Winger’s pre match press conference, I thought it may provide a tad more info which could then be discussed. The long and the short of it is that Wenger was in typical Wenger mode, giving nothing away & batting every question back in the direction from which it came. Defending everything the club has & hasn’t done, talking about commitment & generally giving those kinds of answers which get a lot of supporters up in arms. Did anyone really expect anything else? I think sometimes it is important to remember that these sessions with the press have to be given, he can’t just say ‘No, I’m not doing it. They’ll just ask me a load of questions I’m not going to answer in the way they want me to’. 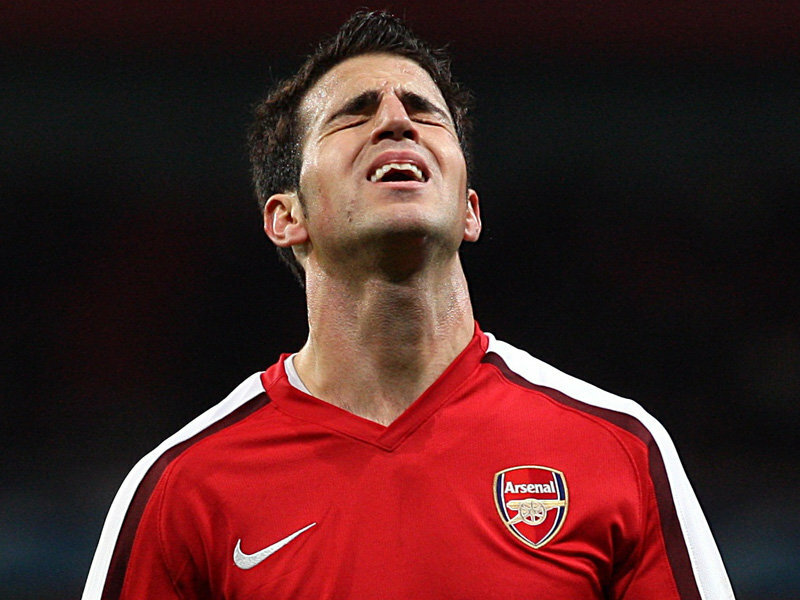 Are we expecting the departures of Fabregas & Nasri? Yes, so no surprises they’re not in the squad for tomorrow. Hell they may not even be at the club tomorrow. 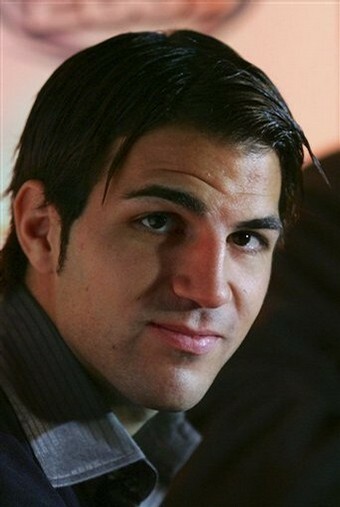 Why did he say he isn’t disappointed in Cesc & Samir? I’m sure he is & I’m sure they know he is. Revealing that shame to the world changes nothing & it isn’t the Wenger way. He wouldn’t chastise Gallas in public what are the chances of him criticising these two? Why say he expects ‘no one’ to leave the club? This is typical Wenger speak, translated, he means ‘I never have an expectation that anyone would want to leave‘, now at worst that is sheer naivety but what do we expect, that he just goes round clinging to players ankles and sobbing ‘Never leave me, promise you’ll never leave me’? It is a cold hard fact of football these days that when a player wants to go, in the most part he goes. We don’t like it but that’s the way it is. Personally I don’t want anyone at the club who doesn’t want to be there, the club is better than that. What is this big squad he talks of? Again Wenger-bable, he’ll never suggest that the squad/players he has at his disposal are not good enough or that there are not enough of them. He just doesn’t do it. And as for saying it is currently ‘too big‘ maybe he just meant in the sense that we currently (that is at this moment in time) have a raft of players who are still expected to leave the club, Cesc, Nasri, Bendtner, Eboue, Almunia. 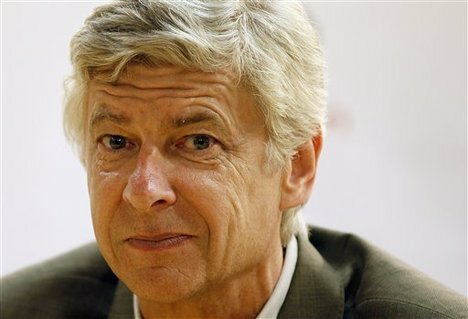 Maybe that was Wenger slyly suggesting that exit’s are in the offing? 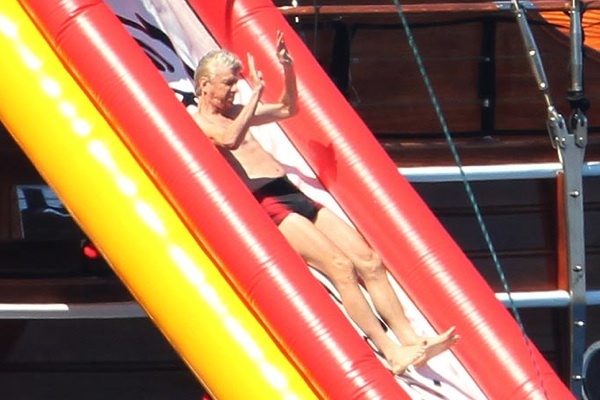 Maybe I am the one being completely naïve about it all but having watched the presser a couple of times over now it looks like Wenger had more fun doing it then he did on that water slide! I totally understand why all the above is so frustrating to so many people but it’s just the way he is. There was a time when we respected that. I have to say that personally whilst I think that Wenger may be on the precipice he is still the best person to lead us this season. After this season? I’m not so sure, but then again who replaces him & what are the credentials they have which make them a better man for the job? There was of course some team news for tomorrow, yes that’s right there is real football to be played which will be a welcome break from just talking about it. On this point Le Gaffer was a little more generous & truthful with his answers. 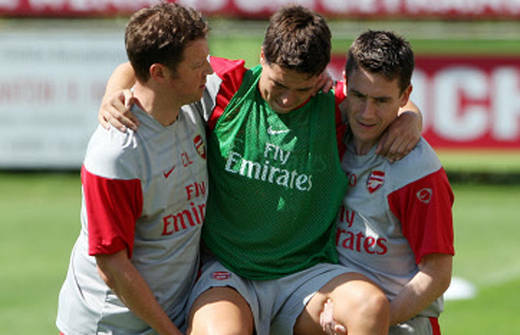 Jack is out & is struggling to be fit for the Udinese game on Tuesday. Abou Diaby is also out & not expected back until late September. *Someone remind me again why we didn’t take that £10m offer? Tommy Vermaelan & Theo Walcott are back in the squad while Kieran Gibbs & RVP are expected to be available. *That is quite good news considering Robin has been named as captain for the game. New signing AOC also goes straight into the squad but Ryo misses out as the paper work relating to his work permit isn’t yet finalised & is unlikely to be by Tuesday. Hopefully there will be some movement with in’s & out’s today which we can discuss tomorrow along with a full pre match preview. We need a snood STAT! One last thing that may cheers us all up is that FIFA have banned the snood so when Nasri is all cold & shivering up in the north this winter and suffering from that back problem he’ll be screwed! Aaron Ramsey: The Welsh captain played the first 45 minutes against Australia in Cardiff, his withdrawal at half time appears to have been a precautionary measure & Rambo said after the game that he expects to be fit for our game at Sarah Jessica Parker. I guess it goes to prove that Tony Pulis has not power nor influence when it comes to the Welsh set up, if he had surely he would have had Aaron slapped about a bit by a couple of knuckleheads and then claimed “they just aren’t that type of hooligan”. 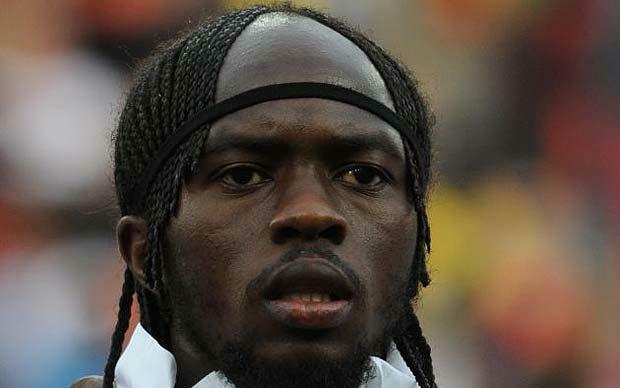 Gervinho: The man with the forehead that would have been perfect for Mallets Mallet was the star of the show for Ivory Coast as they beat Israel 4-3 in Geneva. After two assists he was withdrawn in the 88th minute apparently unscathed which makes me wonder if all football matches should be played in the land of neutrality. 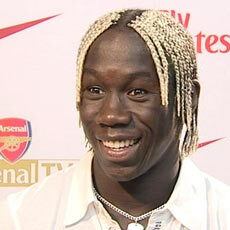 Why let Eboue do your hair? Bacary Sagna: The worlds best right back saw out 80 minutes of the 1-1 draw with Chile & was then withdrawn as he has to colour his hair before Saturday. There was a cheese eating surrender monkey, whose wages we pay, also appearing for France. He played 70 minutes & then went off to have a chat with Laurent Blanc & Patrice Evra about Manchester. He’ll disappoint them when he joins City, reportedly later today, we know how that feels. Wojciech Szczesny: Our undisputed number one completed the full ninety & kept a clean sheet in Poland’s 1-0 win over Georgia. I’m off to a Polish wedding on the day of the Liverpool home game where the good news is there will be bottles of Vodka on the tables, the bad news is the ceremony takes place during the actual game. The groom is a scouser, well he is from Leeds but supports Liverpool (I don’t get it either), & the bride is a big Wolves fan. They even sent out invites that are like match day tickets. That’s nice but what they should have been doing is making sure they didn’t get married on the second weekend of the football season. You can see that the Vodka will be needed, even more so if the game is anything like the seven hour saga at the grove last season. Johan Djourou: The Swiss centre half, his team mates & the Leichtensteinian opposition were afforded the same amnesty from any physical contact as befell the Ivorian’s & Israelis. That means he left the field in full working order after 60 minutes as the cuckoo clock makers won 2-1. Tomas Rosicky: Now if we’re honest if there was one player we would have been expecting to hear had been injured it’s Tommy but miraculously he completed 67 minutes and walked from the field unaided as the Czechs bounced to a 3-0 defeat in Oslo. Who am I, where am I from? Nicklas Bendtner: The want away big Dane got a 60 minute run out against Scotland, surely invaluable game time for the striker as he hasn’t had a look in at the Arsenal during pre season. Whoever he’ll be playing for this season will be pleased to know that he also came away with no apparent injury to either body nor ego. So it seems that we’ve picked up no fresh injuries, but until all the above have returned to the club & a clean bill of health is reported its still very much fingers crossed. 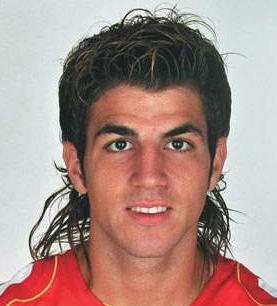 In other news it really is starting to look as if Cesc will finally get his move to Barcelona. There are a lot of different stories doing the rounds regarding the fee, add on’s & how & when the money will be paid. One thing is looking increasingly certain, we’re not going to be getting the full £40m we’ve seemingly been holding out for. Now that is incredibly irritating and it does seem like we are letting our best player & captain leave on the cheap but on the other hand it’s all gone on long enough and it appears that Cesc is unwilling to play for us again so it really would be cutting our nose of to spite our face just holding on to him and watching his value decrease further. I have to say that I am incredibly disappointed in the way he has behaved this summer, he should have enough respect for the club & the fans to have been willing to put a shift in like every other player during pre season. There are many who have & continue to knock Nicklas Bendtner, even I had a little dig earlier, but you have to give the lad credit when he complained the other day about the lack of playing time he has been afforded in the close season due to his desired move. Of course you can argue that it is only right not to play a player who wants to leave, for one you may not want that kind of ‘disloyalty’ in the side but mainly you don’t want to risk the player picking up an injury which subsequently puts paid to any move and the transfer fee we may get from it. But Nick has never hidden his desire to leave, just as he has never hidden his desire to play for the club and despite what anyone might think of the guy as a person and as a footballer you can not question his professionalism. 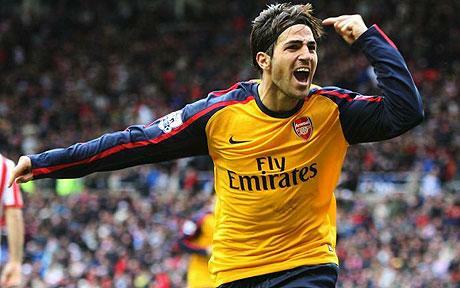 That is all in stark contrast to Cesc this summer in my view. I’m unsure how much truth, if any, there is in the so-called injuries he has been suffering. Yes he would have been slatted had he come out & said ‘I want to go’ but at least it would have been something. The continued silence he has persisted with has achieved the same result hasn’t it? I look like Peter Andre yes? That said, I see no reason to abuse the guy. We’ve all been well aware that this was coming and those who are saying we should keep him are deluding themselves, whatever the players opinion of the club and all that has been since he arrived as a sixteen year old unknown with a dodgy barnet the sad truth is he doesn’t want to play for us any more. He would rather return to Spain and set on a bench watching the plethora of players Barca have in their ranks getting a game ahead of him. I guess that until Arsenal announce that he is gone there is hope to hold on to but personally I don’t see the point. In spirit he was gone a long time ago so the body may as well follow. Well it wasn’t quite a new signing, although Arsene Wenger suggested that it was almost like one, but there was some good news last night when the club revealed that Ryo Miyaichi has been granted a work permit. The Japanese youngster had an excellent season on loan at Feyenoord last year & impressed when representing the Arsenal out in Asia over the summer. 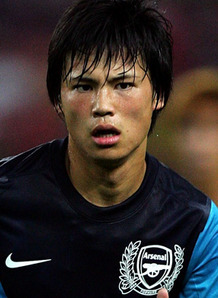 There were initial fears that due to his lack of international football that permission to play in England would again be denied but during a meeting at Wembley yesterday, which Wenger attended & spoke for the cause, an FA panel decided to grant the necessary documentation on the grounds that Miyaichi is deemed an ‘Exceptional Talent’ – not only Le Boss but also the Japanese Football Association attested to this fact. I’ll admit that aside from the odd glimpses I caught of Eredivisie games & YouTube clips, as well as our games out in Asia, I’ve not seen much of the lad so won’t proceed to give you a breakdown of his footballing ability, but what I would say is that he looks quick, decisive, composed and not afraid to work hard with or without the ball. I can certainly see him getting a decent amount of game time this season especially as Wenger rates him extremely highly. 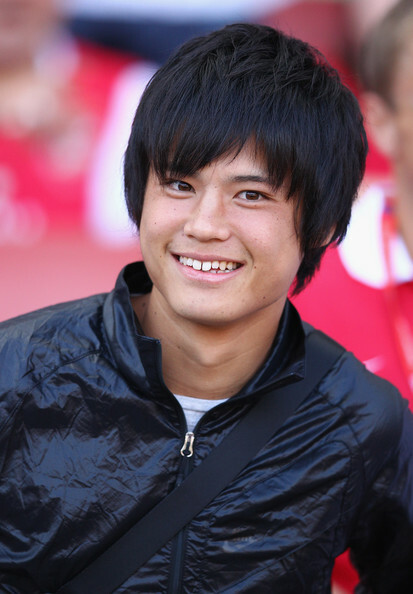 In fact the gaffer rates the young man so highly that, according to Jamie Sanderson over at Young Guns Blog, when Ryo suffered a broken leg whilst on trial with Ajax & had returned to Japan the manager called him to say “Get fit, learn some English and come back. Arsenal is your home“. 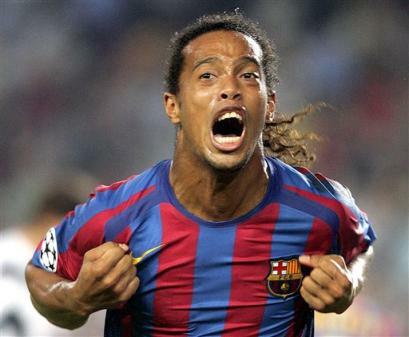 Come back he certainly did & after making a considerable splash out in Holland, he was voted MOTM in his first game & quickly earned the nickname ‘Ryodinho‘ after being compare to he with the horses face (Ronaldinho), the 18-year-old is now an Arsenal player proper. It’s an incredible rise considering that in 2010 he was still playing high school football in Japan. The ‘Exceptional Talent’ tag on his work permit is by no means an exaggeration, he may well be another young & untested player & he may be another winger but we were all desperate to see him win his appeal and should just be glad he has done. Everywhere else in Arsenal world it’s all pretty much the same as it was yesterday I’m afraid & at the moment it’s difficult to expand on any of the rumours & speculation. Do you know 'Candle in the wind'? I guess we were afforded some good news when the international between England & the Netherlands, which was due to take place at Wembley tonight, was called off due to the ongoing situation on the streets of London – the good news from our perspective is that Robin Van Persie will now be unable to pick up an injury that will require him to sleep in the womb of an otter for six months whilst listening to a continuous loop of a Chilean pan pipes quintet rendition of Elton Johns greatest hits. Small mercies my friends, small mercies. Our 25 man squad for next weeks Champions League qualifying round first leg against Udinese was named and it was a surprise to some that Cesc Fabregas & Samir Nasri were on the list. To be honest they have to be, we get down to business straight away this season and if the club are still paying the duos wages then they should be expected to help their teammates win games. In all honesty I will be shocked if Nasri is still at the club by then with a move to Manchester City’s United Stadium in the next few days looking increasingly likely. For my money it is more likely that he will move on then Cesc. Please note that when I say “for my money” I will in no way be betting on that outcome, I am not a betting man for very good reasons. Marouane Chamakh says the pair will both leave if replacements can be found, not sure that is much of a revelation really. What does concern me is the Moroccans willingness to talk so openly about the situation, its not gonna help him improve the increasingly fragile relationships he currently has with the fans. The new NB52 for 11/12? 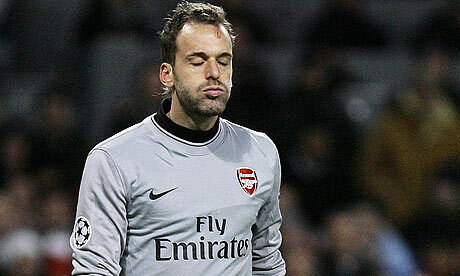 The real shock inclusion in that 25 man squad is Manuel Almunia. I can only assume that Wenger wants the riots to continue, which they certainly would do if the hapless Spaniard was to make an appearance between the sticks next Tuesday! Maybe it is just a contingency step, but those kind of measures have come back to bite us before & I don’t think anyone, Almunia included, want that to happen again. Still no concrete news on further signings although whilst I write this we continue to be heavily linked with Gary Cahill & Juan Mata – watch this space. 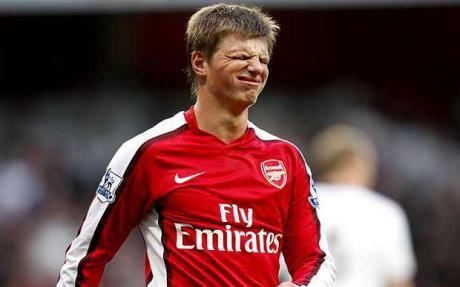 Russian club Anzhi Makhachkala still have an interest in taking Andrey Arshavin back to the mother land according to reports, while Aston Villa are the latest team linked with Nicklas Bendtner. Hopefully Premier league games will not be affected by the ridiculous & downright disgusting scenes of public disorder that have plagued the country over the last few days & nights, that would be the straw most likely to break the metaphorical camels back I think. Lastly, I just want to say thank you to all of you who are taking the time to read Up The Arsenal. This blog was set up as little more than a mouth piece for my own views on everything Arsenal related & its amazing that with little to no advertising, aside from the occasional tweet & re-tweets and word of mouth, plenty of you are taking the time to visit each day to cast your eyes over these ramblings. If you take a look at the comments on yesterday’s post you’ll see that apparently all of the above is open to criticism, now that is water off a ducks back to be honest with you, but it certainly would be great to have a few more enlightened and structured comments & debates going on. Well as always keep an eye on our twitter feed throughout the day for all Arsenal related updates. A new signing – more to follow? From early yesterday morning there were rumours that Arsenal had a player booked in for a medical (Neil Brooks was first with the scoop via Twitter) and for a couple of hours this was debated by many a gooner and like a good game of Chinese whispers more info was added to the story. It became ‘Alex Oxlade-Chamberlain is having a medical at Arsenal’ and was again being disputed by some and reported as gospel by others – including the sport media. It turns out that there was a medical taking place & it was indeed Southampton’s AOC who was being checked for signs of Walcottitis. Either the medical examination came back giving the youngster the all clear or the Arsenal medical team had come across another specimen they want to keep strapped to a hospital bed & to experiment on – I honestly truly & sincerely hope it is the former, dear god don’t let it be the latter. It’s reported that the deal to take the England U-21 international, who turns 18 next week, from the south coast to the big smoke is going to cost us £12m up front with £3m in add ons going the saints way at some point in the future (Possibly depending on a myriad of factors). So a player that the club have been eyeing up for a long time now was finally snapped up to make the total of new faces in the squad a nice round…3. It took absolutely no time whatsoever for so-called supporters of the club to start sniping at the manager, the Chief Exec & even the player himself. Apparently it matters not that this is a highly rated, and equally highly sought, young player who by all accounts was desperate to join our club. No, it apparently matters more that he isn’t a 26-year-old, seven-foot centre half. Now don’t get me wrong, the aforementioned defensive powerhouse is certainly a more pressing need & it would have been great had the club unveiled such a colossus too much rapture and fanfare, but they didn’t. Hopefully before week’s end they will, but at this juncture they didn’t so perhaps it’s more important to look at the positives of the actual acquisition. There is no doubt that at the moment the lad with the posh name is indeed a raw talent & having been plying his trade several depths below the level of the Premier League, not to mention his tender years, it may well take some time for this purchase to start paying dividends but personally I have no doubt that it will. It’s easy to immediately compare AOC with Theo Walcott, they have both earned a place in the Southampton first team squad at a young age, they both have a somewhat similar style of play & they’ve both moved to Arsenal for big money early on in their respective careers. But actually I’m not sure how similar the two are, certainly not in terms of footballing ability, yes they’re both pacey and like to take on opposing players, but from what I have seen of AOC (and admittedly that isn’t a hell of a lot!) he is a different beast to young Theo and won’t need to be wrapped in cotton wall as Walcott was when he first came to the club, and arguably still is. 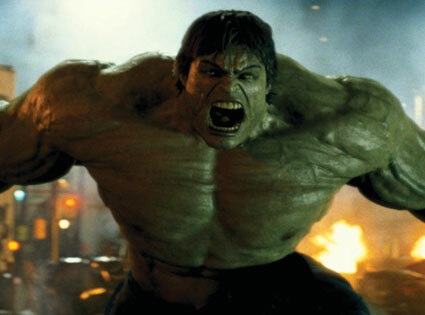 AOC seems to be built bigger than Theo is even now, in a way reminiscent to Rooney when he first appeared for Everton (like we can forget that) but not so much that he looks like some sort of hulking man-child prepared to ravage cities. I suspect that AOC won’t be hustled off the ball as easy as Walcott sometimes is, he looks like he can scrap it out a bit more. 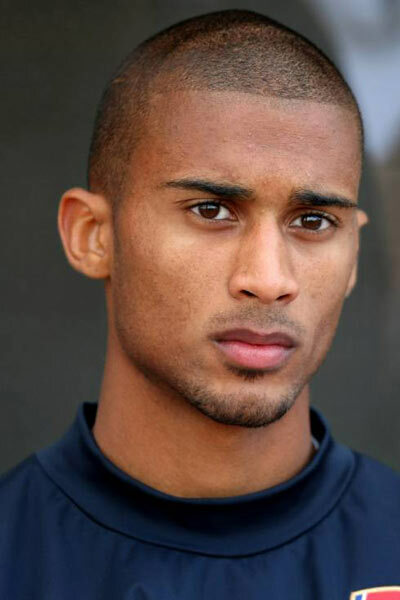 I’m not sure that his play is all that similar to Theo either, although it could be that Walcott is often set the task of working a channel and isn’t given the licence to get through the middle and/or into the box that AOC seemed to have at St Mary’s – I guess we can soon coach that out of him mind. So it will be interesting to see how & where he is used this coming season and in which competitions, obviously the Carling Cup springs to mind, with Arsene Wenger saying “”He is an exciting young player who will provide us with creativity and offensive quality. Alex is a versatile player who can play in a number of positions. He can play as an attacking centre midfielder, or wide left and right”. What isn’t in doubt, as the pictures on the official club site show, is how pleased the lad is to be joining us and his desire to do well and prove himself worthy was evident in his first interview after putting pen to paper. One similarity with Theo Walcott is just how articulate the boy is and how measured he appears to be. It’s another young British player, with a bright future, in our ranks and if all goes to plan you can’t help feel a tinge of excitement when you consider that in a few short years we’ll be treated to the delights of Wilshere, Walcott, Ramsey, Miyaichi, Frimpong, Afobe & AOC. But yes yes yes, that is, as always, more star-gazing into the future and an extension of project youth, I know. What we all want to see now is those vital cogs we’re so desperately missing in the here and now added to the squad. Well on that front there are so many whispers about a deal for Cahill being imminent that I’ve had to ask them to pipe down because collectively they’re deafening, drowning out the sounds of police sirens & helicopters. I don’t know how true it all is or if any move will materialise, but I do know that in these final few days until the season begins managers are looking to get deals done. Owen Coyle is after Shaun Wright-Phillips and if he wants to take the little man from City he needs cash money. It seems that we could see a few moves in and out over the coming days, Nicklas Bendtner has intimated that the only thing holding up his move away from the club is an agreement between Arsenal and his perspective new employers. Carlos Vela looks set for a loan move to France or Spain & of course we’re still expecting Almunia & Eboue to complete moves to pastures new, not to mention the question marks that still hang over the futures of Cesc & Nasri. 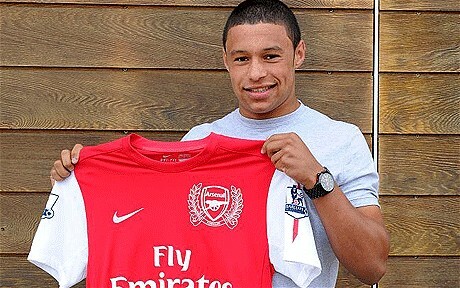 Whatever happens with those or any other deals I have to say that all in all I’m excited by the signing of Alex Oxlade-Chamberlain and look forward to seeing him represent the club. Keep your eyes on our Twitter feed throughout the day for all the latest news. Pre season is over, where are we? So with a 2-1 defeat at the hands of Benfica in the Eusabio Cup our preparations for the new season have been wrapped up. True there is a further weeks training ahead of our game against Newcastle but there are the needless International fixtures taking place in the middle of the week & that no doubt hinders preparations; although having said that we’re already suffering a spate of injuries which could limit the involvement of certain players. We went into the game in Portugal last night without Jack Wilshere, Theo Walcott, Laurent Koscienlny & Abou Diaby due to injury. We were also told that Samir Nasri missed the game with a muscular problem & the boss said “He might be back for the game against Newcastle”, who knows if this injury is real or if reports of a move to City being close & a fall out with Wenger maybe have more to do with the Frenchman’s absence. 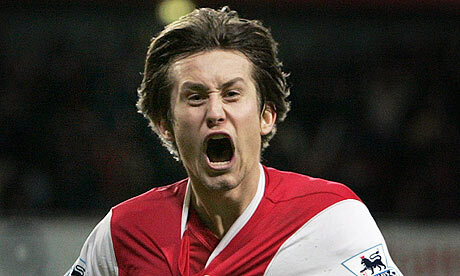 Other notable absentees were Nicklas Bendtner, Eboue & Almunia, all three being close to moves away from the club were left at home in order to conclude those deals and to avoid any possible injuries that could hamper them. By the time the game was over we had also lost Robin Van Persie, Tommy Vermaelan & Kieran Gibbs to injury. There is no indication yet as to how long the trio will be out for but they were all replaced after forty-five minutes so fingers crossed they’ll be ready to go come kick off on Saturday. 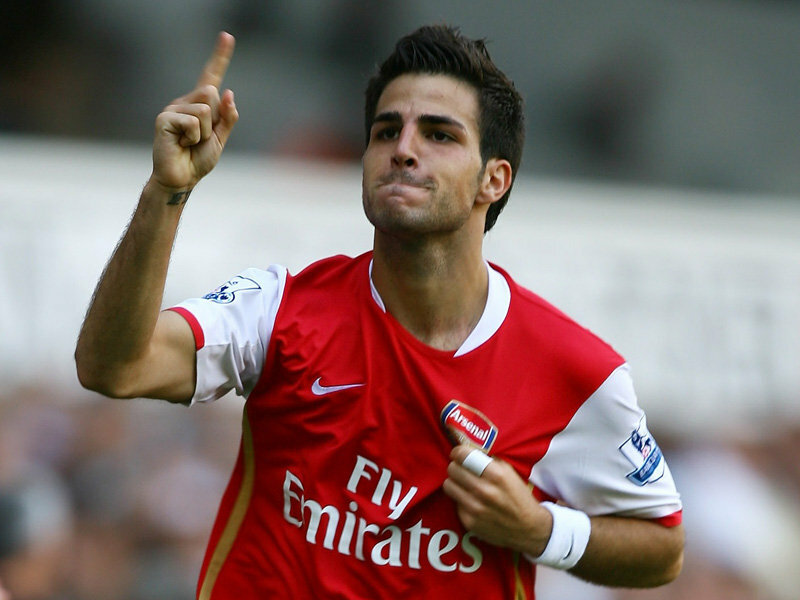 One player who looks ever increasingly likely to be missing when we take on Newcastle is our captain Cesc Fabregas. The Spaniard has failed to appear in any of our pre season games due to a supposed injury, but came out & trained with the squad at members day on Thursday. On Friday morning he was training at London Colney with the rest of the team ahead of the flight to Portugal and then failed to travel because supposedly he had picked up another injury. Now if that is the case why is he not listed as one of our injured players on the clubs official website? 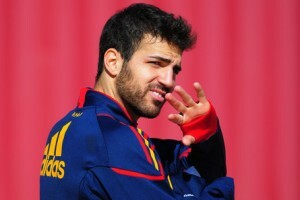 Everyone with an ailment pre & post Benfica is listed so why not Fabregas? There were reports that Barca we’re in town on Friday having talks with Ivan Gazidas – increasingly it appears that we won’t see Cesc play for us again, but we’ll discuss that a little further shortly. Now all of the players mentioned above are, or at least were last season, first team players & for the most part starters, not just squad players, so let’s assume that none of them are fit to start the game next Saturday or indeed will still be at the club if protracted moves are completed. That leaves us extremely light on playing staff, in fact after last nights game Arsene Wenger said “You could see we missed many players”. Surely this is further evidence, if it were needed, that we need to get new faces in quickly. Not just to replace those set to depart, not just in case Cesc and/or Nasri go, not just as cover for the forever crocked. You could see that we were short of players last year, you could see it the year before, it is not a new problem at Arsenal Football Club but yet it hasn’t been properly addressed. I’m not one of those people who think that the signing of new players is as easy as Championship Manger makes out, I know it isn’t, I know there are many caveats to each deal that many an I & a T have to be dotted & crossed respectively, that negotiations are delicate and that each party wants to be sure that it is getting the best deal possible but we have had two months to get deals done and so far all we have is another young prospect in Carl Jenkinson & a player untried at Premier League level in Gervinho. Now both players have looked good during pre season but the acid test comes when the outcome of games has real meaning and implications & those games are from minute one for us this year. At this moment in time our team is worse off then it was at the end of last season in my opinion & there is a real chance that we could go into a pivotal period with players such as Sebastian Squillaci & Marouane Chamakh being first choice & that is far from good enough. It is as if the club have learnt nothing from the Almunia debacle, even last season when the Spaniard had dropped down to third choice he ended up between the sticks for vital games, only to then have to be replaced by an eccentric German enticed out of retirement. Does any of this make us sound like one of the top clubs in Europe? Does it sound like a club that is going to be pushing United, City & Chelsea all the way in the league? It’s as close to a shambles right now as it ever has been under Wenger & closer than it should ever be allowed to be – we have one of our best players (yes we did all think so for the majority of last season) in the last year of his contract and unlikely to sign a new deal, the fact that we got ourselves in that position is ridiculous so I don’t know how you class the fact that we are seemingly unwilling to sell him for a high price now as opposed to seeing him sign a deal with a rival in January & then walk out the door for nothing next summer. Our Captain, possibly our best player, is seemingly unwilling to pull on the red & white & get involved in pre season preparations because he wants to play for a team who want him so badly they’re unwilling to pay the amount it would take to get him. Robin Van Persie & Theo Walcott only have have two years left on their deals and despite the Nasri mess we don’t seem to be rushing at them with new contracts & a pen. In order to get into the Champions League proper, after failing to nail on third place last season when we had the chance, we have to get past a very decent Italian side over two legs. In the first leg we’ll be without Van Persie & Nasri regardless of injury or anything else thanks to suspension & Arsene Wenger won’t be allowed in the dressing room or in the technical area during the first leg because he had the audacity to question a sorry excuse of a referee. Yes deals could still be concluded between now & the end of the week but that leaves no time for new arrivals to be integrated into the team. And all the while the ‘Cesc Saga’ as it has become known hangs over us like John Terry at a Christmas party. I personally can not see a way back in for Fabregas now, the damage has been done. It doesn’t matter where he wants to play, where he comes from or who his idol is, the man is captain of the Arsenal and that means something to hundreds of thousands of us yet at this moment in time seemingly very little to him. If by some miracle he ever represents us on a football pitch again it should not be as captain, he has lost himself that privilege. He need only look at the reasons he inherited the armband from William Gallas as an insight into the level of conduct & respect the job requires. We as fans have always understood that the day would come when he would want to return to the Catalan club, we all appreciated & respected that. For a couple of years now Barcelona have been making derogatory bids that have been batted away by the club & Cesc himself has always acted with the dignity we’ve come to expect from him & that as much as anything he has done on a football pitch has further endeared him to us all but this summer has been different. Yes Barcelona have continued to play silly buggers and offer pittance for a player of Fabregas’ quality but it is the continued silence and perceived lack of commitment from Cesc to not only the team & the club but also to us fans that has firmly placed a wedge. All those reasons he has always had for wanting a return to Spain & the reasons we’ve understood it seem unimportant now but maybe that was always going to be the case? One thing is for sure, the club can not sit on it’s hands and wait to see if we make it past Udinese into the money spinning world of the Champions league or indeed if we loose one or both of Cesc & Nasri it has to go out spend money & reinforce the squad and improve the team now. When the warning signs are all so evident and obvious this early failure to respond is beyond reckless & it will be the one thing more important than any player, owner, manager or indeed fan that will suffer the most & that is the football club.